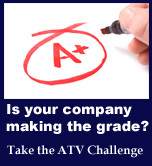 From 1996 to 2000 Teleprofessional Magazine, an Advanstar Communications International publication, bestowed an annual Award for Call Center Excellence (ACCE) on companies that had implemented highly successful, unique, or clever call center applications. 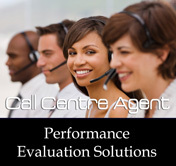 In 2000, Bank of Montreal MasterCard, Customer Sales & Service Call Centre received the award for using the AllThingsValued Performance Evaluation process. The award was awarded for innovation in the Business to Consumer Inbound/Outbound category. To use the words of Teleprofessional magazine ACCE judges, "Excellence is a quality that stands out from the crowd, and the Bank of Montreal MasterCard Call Centre deserves to be recognized." Imagine that you have a team of agents working in a productive contact center operation that inspires them to perform at the top of their game. Last year’s most popular workshop is back again to explore best practices that motivate, inspire and encourage agents to perform at their best and soar to new heights. Breaking from traditional workshop formats, participants are encouraged to help develop the "Top Ten" best practices that enhance your agent’s spirit and desire to go above and beyond the call of duty.